If you live in Portland and you love food, you probably already know about Feast. 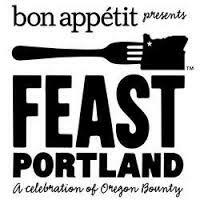 If you don't live in Portland, Feast is like, the best thing ever. Basically it's an extended weekend of events featuring locally and nationally renowned chefs and artisans... and it starts tomorrow! Kel and I didn't attend any events last year because we're poor and the price tag on a lot of these events is pretty hefty. 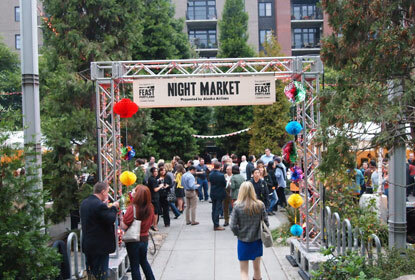 This year, however, I'm super excited because Doug surprised me with tickets to Night Market for my birthday! Woot! 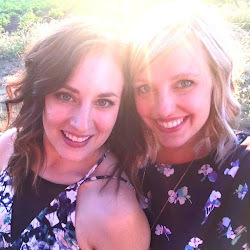 Our game plan is to spend the first two hours eating our weight in Franklin Barbecue (and some other stuff I guess) and then turn our attention to all the breweries, wineries, and distilleries. I'll let you know how it goes. There are also quite a few free events and some more reasonably-priced unofficial events happening too. Check out our recommendations below (most of which we blatantly poached from Eater and Eat Beat). What: Shake Shack pop-up featuring free frozen custards made with Stumptown coffee. Where: Portland Farmers’ Market, 1717 SW Park Ave.
What: The party lasts all day, but 2 Towns, Outcider, and Bull Run will be pouring free samples from 3-6pm.